Video games have evolved in exceptional ways since their inception and subsequent mainstream rise. Though many have yet to accept the medium as a true art form, some have come to recognize games as just as important as television, films, and books. At the core of most great games are their stories, and few developers put as much care into their product as Quantic Dream, the Paris-based studio behind PlayStation classics such as Heavy Rain, Beyond: Two Souls, and their newest endeavor, Detroit: Become Human. Each game mentioned strives to be more than just a game; one could describe them as “interactive stories.” The story is the primary focus, with game-play usually being limited to walking, interacting with items in the environment, and making critical decisions that change the outcome of the experience along with the overall landscape of the game. This style isn’t for everyone, but those willing to give them a shot will find themselves fully immersed and invested, and Detroit: Become Human is no different. Detroit: Become Human takes place in the year 2038, where society and human technology have come a long way; self-driving cars are the norm, touchscreen devices are everywhere and used by practically everyone, and, most importantly to the story, androids have been invented. Androids are used in almost any way imaginable: from regular household bots used for housekeeping assistance, to being placed in special “clubs” as dancers or to be used for sexual purposes. Naturally, there are some who don’t completely agree with the notion of androids. Some people find androids to be evidence of humans playing god and creating “life,” while others are unhappy with artificial intelligence replacing humans in the workforce, effectively ruining their lives and opportunities to provide for themselves and their families. Androids aren’t allowed in some establishments, such as a hotel I ran across in my play-through; buses have a certain section in the back where androids must stand bunched together as an easy means of mass transportation. All of this is okay, though, because androids are not living in the sense of how a human lives, and were created to be of service to people, right? This question and those like it are the very core of Detroit: Become Human. Lately, there has been a rise in android-committed crimes. Some are going missing, while others are acting out violently towards their owners. This is a problem because androids are created with set parameters and orders as to what they are to do and be used for, so an android making decisions on its own that go against its programming is a major issue. Aside from that, some of these androids actually claim to “feel” things, such as love, hatred, anger, and the want for freedom. These androids are called deviants, and much of Detroit: Become Human’s story is finding out the whats and whys of android deviancy. As I mentioned, Detroit plays just like the other Quantic Dream games. Players assume the roles of three different android characters with very different personalities. First, Kara is a housekeeping android, owned by Todd Williams, to take care of housework and look after his daughter, Alice. It is soon revealed that Todd is down on his luck, blaming the loss of his job on the increasing use of androids in the workforce. Todd is also a raging alcoholic and drug abuser, which causes him to lash out at both Kara and his daughter. Without diving into spoilers, Kara becomes deviant and takes Alice away from Todd and his home to protect her and attempt to provide her with a better life. Their journey together takes players through some of the game’s most heartfelt and emotional moments, where I too felt Kara’s need to protect Alice – by any means necessary. Next, there is Connor, a prototype android designed to assist law enforcement, specifically in investigations of deviants, but with the higher purpose of finding out what exactly deviancy is, what causes it, and how to stop it. 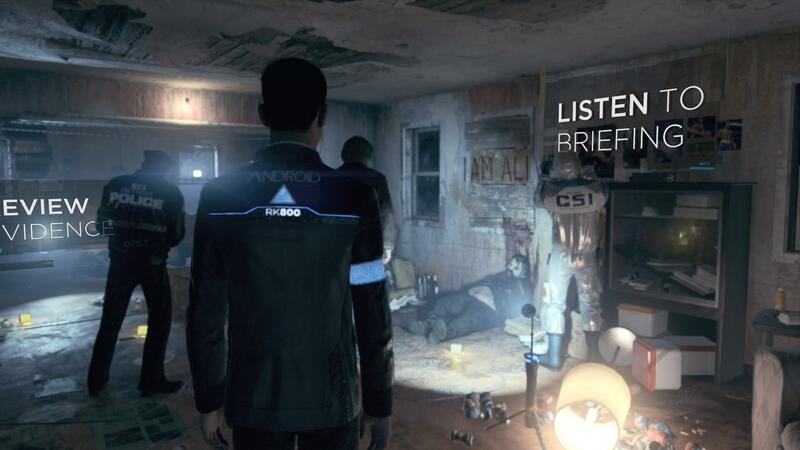 Connor is probably the most “by the books” character when it comes to being an android until some crucial decisions must be made late in the game. This is a good thing, though, as it allows the player to see a different point of view from the other two protagonists. 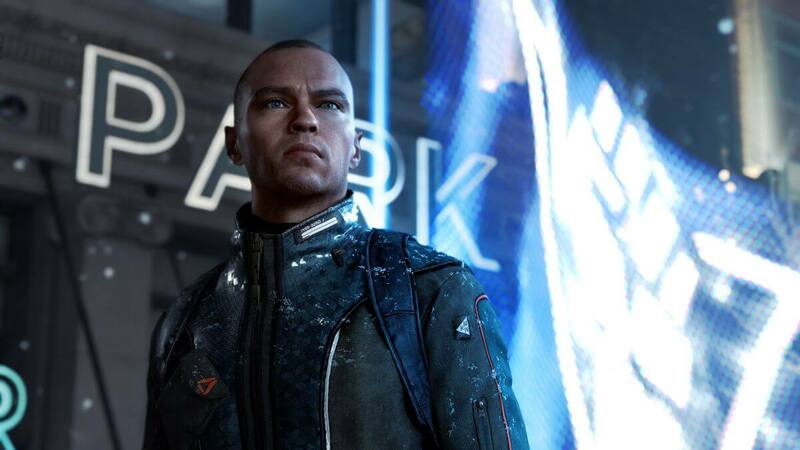 Finally, there is Markus, who is my personal favorite of the three playable characters. Markus starts out as a butler of sorts for an elderly rich man. 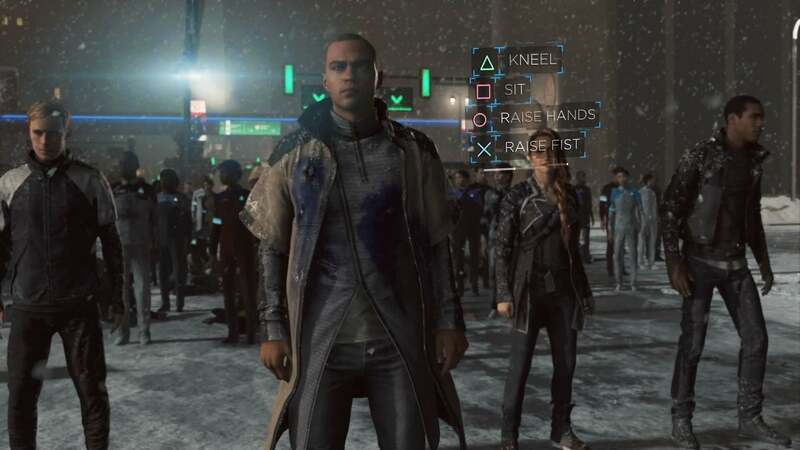 When a critical decision must be made, Markus can become deviant and go on the run, in search of a higher purpose and a life where androids can be treated equally to humans. Markus’ and Connor’s stories are the most crucial to the overall narrative and provide everything the game needs to have a proper tale to tell. That’s not to say Kara’s story isn’t important, but it is designed to be a bit more personal and to give players someone to connect with on a closer level. Some of Kara’s sections can seem almost like filler (damn good filler, but filler nonetheless), side stories that probably could have been left out or made available as optional DLC; but then we wouldn’t have a whole lot for Kara to do. Again, Detroit: Become Human doesn’t have the most in-depth game-play. Actions are limited to walking, pressing face and trigger buttons, and a lot of talking. This isn’t a bad thing; that is what the game is meant to be. Action scenes are still intense given their simplistic nature, being essentially extended quick-time events. For example, in my play-through, my choices led me to take Connor on a long rooftop chase. Everything is happening so fast, and it’s hard to do everything perfectly, so the challenge and urgency of each button pressed weighs heavily. While not extremely difficult, this sequence and ones like it can drastically change your story experience. Also, it is in these scenes where the game has any kind of difficulty at all (other than the personal difficulty felt when being faced with an important decision); the rest of the game is straightforward. It would be a disservice to the title not to mention how astoundingly gorgeous it is. Cutscenes and game-play blend together seamlessly. Cityscapes in the background look as if you could actually walk through them; each and every animation seems natural, from facial movement to walking and fighting. Detroit: Become Human definitely continues Quantic Dreams’ tradition of making exceptionally visually pleasing games. Along with the overall look of the game, the sound is just as great. The voice acting is top notch; you can really feel the emotion in these characters, and if you didn’t know better, you could mistake the game for live-action television at some points. Besides the voice acting, the musical score is incredible, adding intensity to already stressful moments and emotion to points where you may have to put the controller down for a second and think on your next decision. You can probably already see that the game is holding up a mirror to society; bigotry and discrimination towards the androids is exceptionally prominent. You could easily take out the word “android” and replace it with any minority, and it would still make sense. “We’re angry that androids are coming and taking our jobs;” “Androids are lesser life forms; they don’t deserve to be treated the same as humans;” the examples are endless. For Quantic Dream to take an amazingly fun and deep science fiction story and use it as a means to tell the world about itself is genius, and something gaming could use a lot more of. What I’ve spoken on here only scratches the surface of the parallels to our society that Detroit: Become Human draws. I cannot stress enough how good Detroit: Become Human is. Heavy Rain is one of my favorite games, and I have yet to complete Beyond: Two Souls, but I’ll be running back to finish that one up as soon as possible after experiencing Quantic Dream’s latest masterpiece. Half the fun was speaking to friends of mine who also played and trading stories about what happened in our games, and let me just say, the differences are pretty vast and make me want to have a few more play-throughs so I can experience what my friends did. If you enjoy games that strive to tell the best story they can, I highly recommend giving Detroit: Become Human a shot. Some may balk at the standard $59.99 price tag, and it is hard to disagree that the game may not be worth it to some, but know what you’re getting into and decide from there. For everything video games and PS4, keep your browsers locked to Geeks + Gamers! Detroit: Become Human is yet another masterpiece from Quantic Dream. Beautiful visuals, one of gaming's best stories, and strong looks at our current society make this title a must play for fans of this style of game.